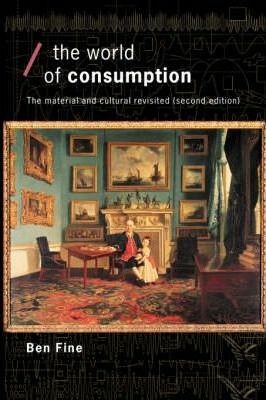 This book presents an updated analysis of the cluttered landscape of studies of consumption that will make it required reading for students from a wide range of backgrounds including political economy, history and social science courses generally. Preface 1. Introduction and Overview 2. From Economics Imperialism to Globalization 3. The World of Commodities 4. Use Value and Consumption 5. Consumption through Systems of Provision 6. Systems of Provision and Cultural Systems 7. Economics and Consumption 8. What is Consumer Society? 9. Whatever Happened to Public Consumption? 10 Welfarism in Light of Globalization 11. Whither Consumption Studies? Ben Fine is Professor of Economics and Director of the Centre for Economic Policy for Southern Africa, School of Oriental and African Studies, University of London. He is the author of several books for Routledge, including Social Capital Versus Social Theory (2000).